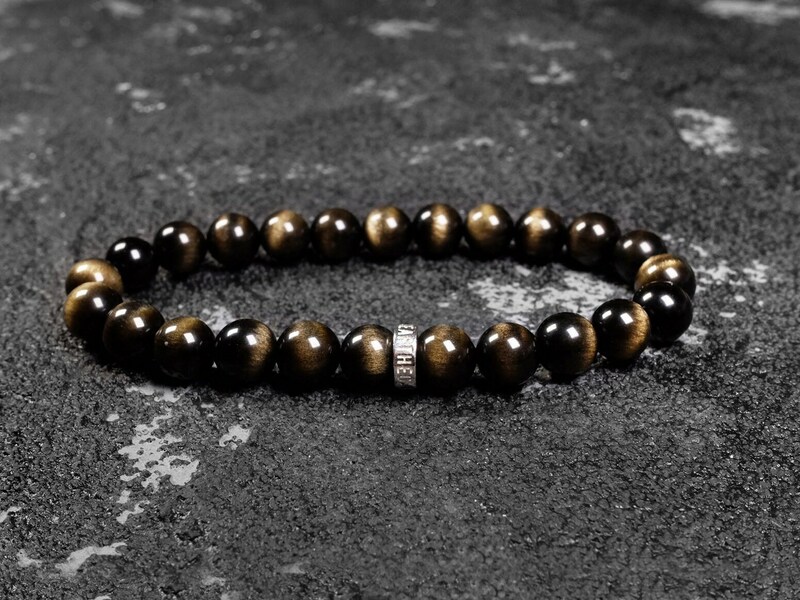 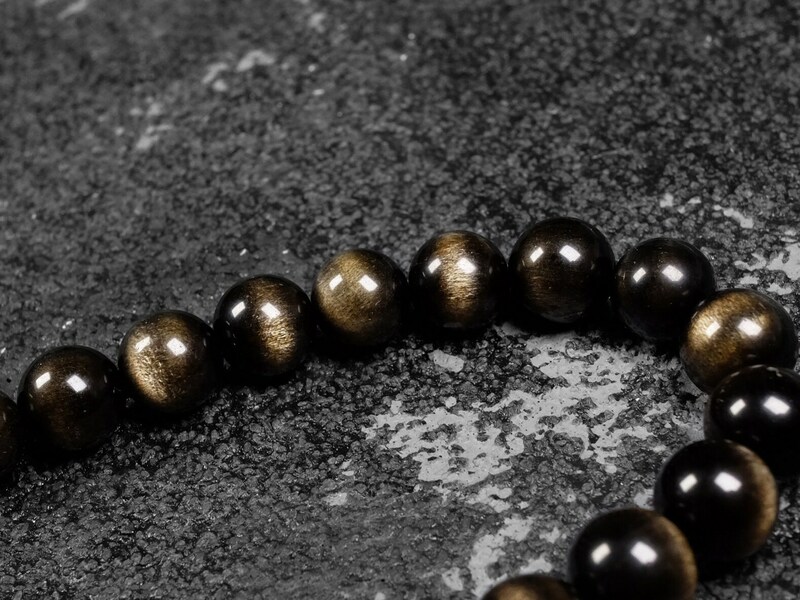 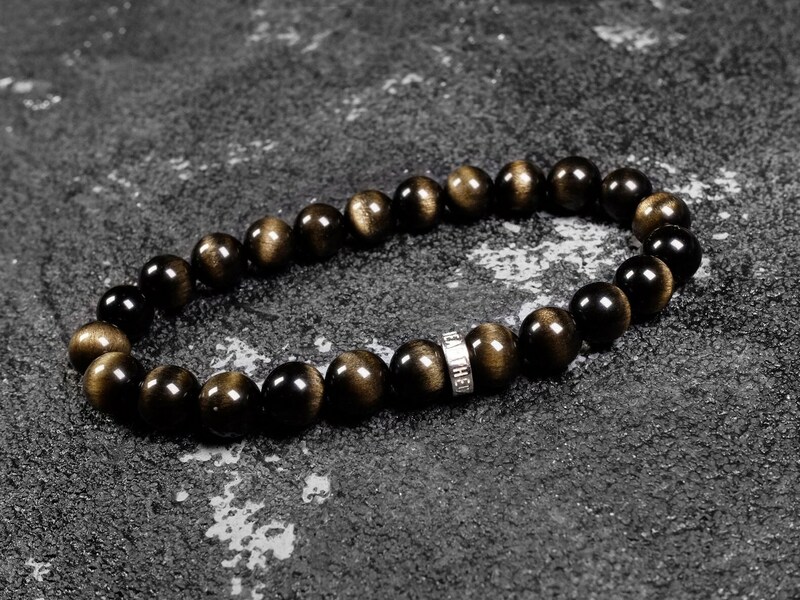 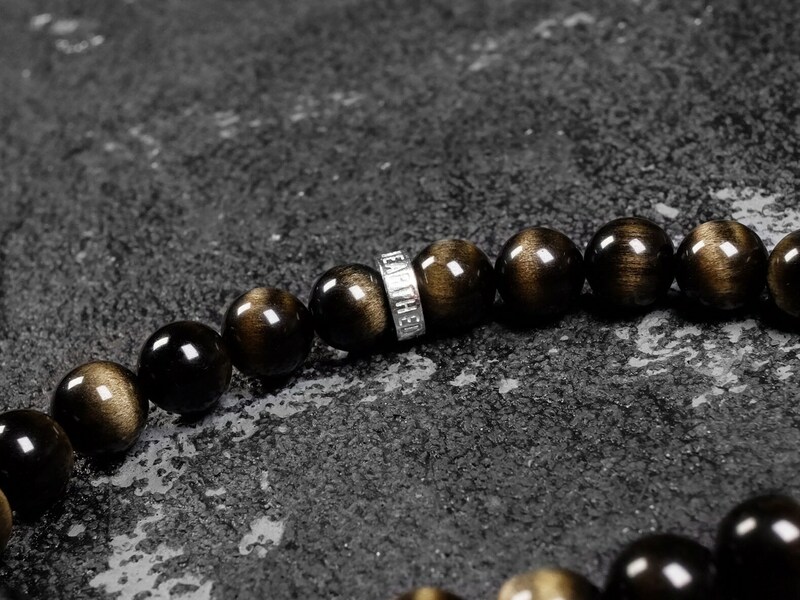 Black gemstone with a golden sheen is a classic look of the golden obsidian stone. 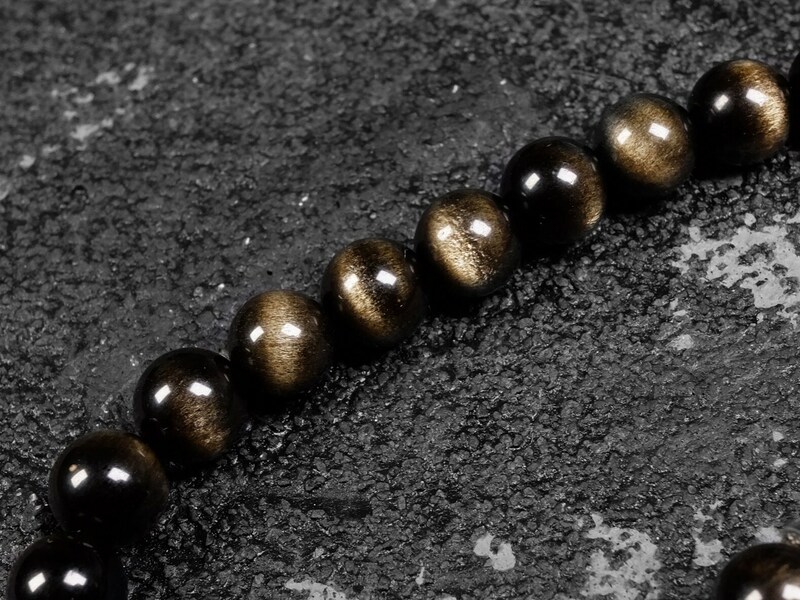 Usually the golden sheen is circular, but this material gives out a line of golden sheen which looks like an eye. 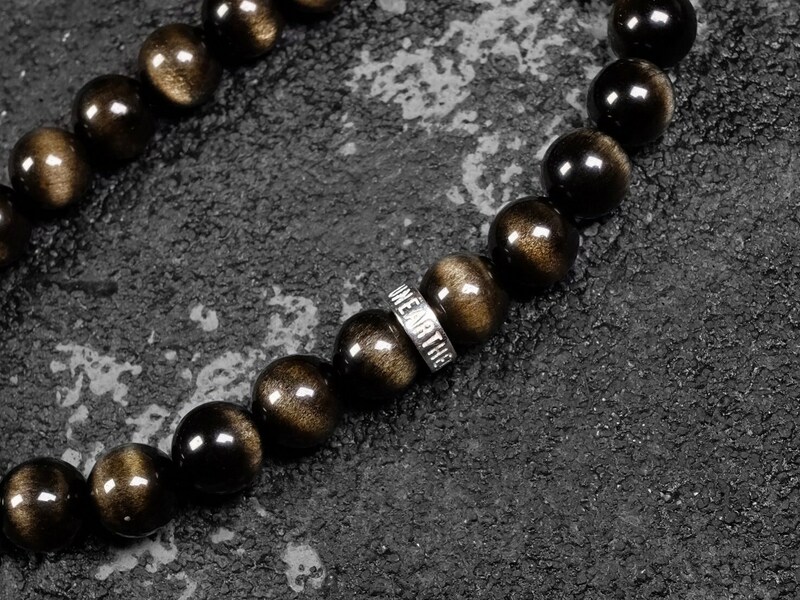 Quite a rare find. 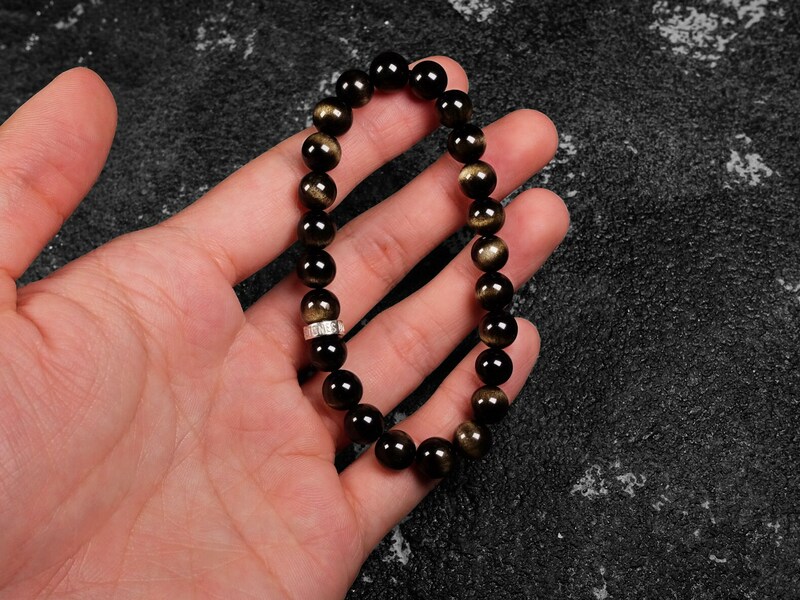 Although some of the sheen is not as strong, overall the quality is great for this unique obsidian. 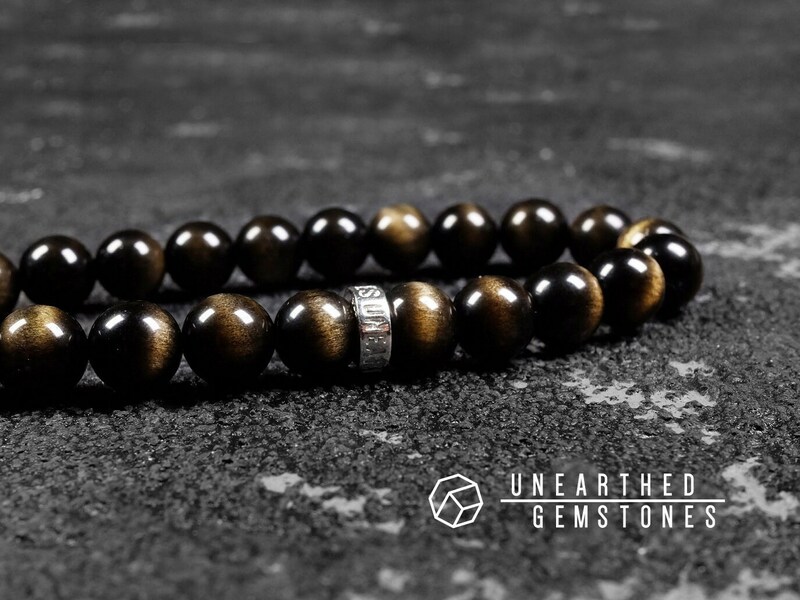 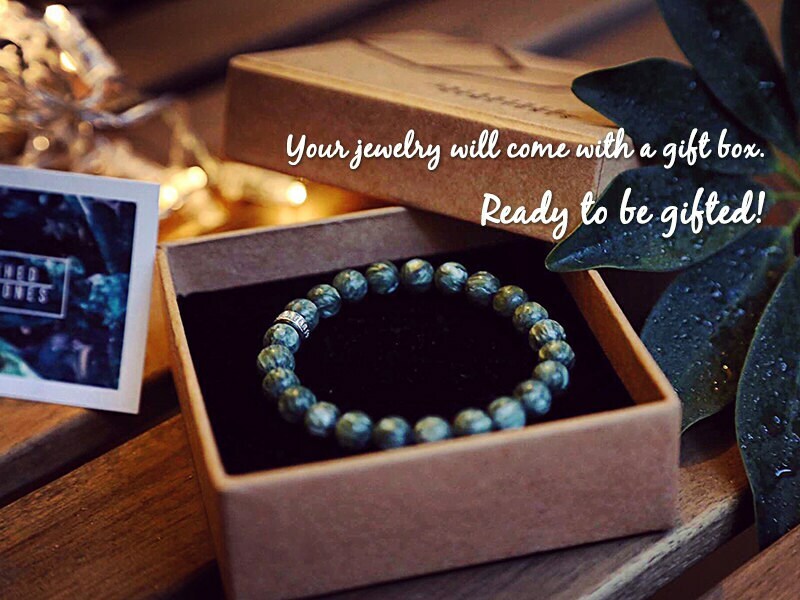 With the Unearthed Gemstones sterling silver, this bracelet is a great way to showcase this special gemstone.